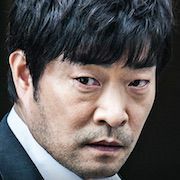 Detective Squad Chief Choi (Son Hyun-Joo) is set for a promotion. He has a party with his co-workers to celebrate, but, on the way home, a crime occurs and he accidentally commits murder. Because of his promotion, he decides to cover up the crime. The next morning, TV news reveals a body is hanging from a crane at a construction site. 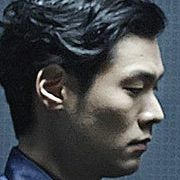 Choi is shocked because the body hanging is the person he killed last night. He takes charge of the murder investigation. Filming began June 29, 2014 and finished September 19, 2014. Mili Sep 05 2016 5:55 am @JM, i totally agree with your comment. Like the movie - 10/10. Yeonara Aug 09 2016 10:36 am @JM, yes I agree with you. This movie is kinda deep. I think the revenge is actually his method "to proof" that he is (and was) capable of killing people, so that the police's disbelief of his testimony back then was wrong. Everybody hated this movie but i actually liked it a lot? The motive for getting revenge was because his father was framed... It doesn't matter if he looks hella suspicious or if it's a child's testimony.. innocent until proven guilty and there's no way he can be PROVEN guilty cause he isn't. Did they not check for fingerprints out the actual bottle of poison? The kid's fingerprints would have been on there, why would the kid be holding a bottle of poison and why would the father's fingerprints not be on there? So yes, the police were lazy and didn't do their jobs major reason for revenge. Why did he kill himself. He explains it really well at the end (idk the subs were terrible for some sites glad i don't rely on them) but yeah. What will he do? He already feels guilty for giving his dad the death sentence and murdering like 12+ people. After revenge it's obviously hittin the bucket. So motives and methods all make a lot of sense. Also really liked that South Korea put the main crime duo as gay dudes. Idk maybe Dongjae didn't know Jingyu was dead (because he was like unaffected at all) but then again maybe he did and he didn't care because he was going to go see him soon but Jingyu really loved Dongjae so much that he literally gave everything he had for him. I'm assuming he was just living his life as an actor when Dongjae came and asked him for help (it matches up, Dongjae realizing his friend's an actor and pulling him out of the movies to act for him personally since he recently joined Choi's team.) All in all i just really liked this movie. I rate this movie a 6/10...just my 2 cent opinion. jungle_fish Jun 01 2016 11:17 am In some parts it doesnt make sense, I duno maybe it's because story line or director's fault to bring and force audiences' view as Dong jae who just an ordinary police and found evidences.. 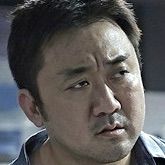 I mean why when Dong jae trapped det choi to be killed though det choi killed the man, if I were Dong jae I'll reveal it all cause the evidence is really clear, the tie pin, det shot the other suspect, even cctv, it's easier and your only target left is police chief, and in the end Dong jae's real identity would be never revealed. That's it. This movie force the story line to be complicated, I dont like it, luckily there's Park seo joon there. Fullheart5 May 18 2016 12:17 pm So sad. Nobody wins. I hate sad movies. But I do so like Choi Daniel and Park Seo Joon. Choi Daniel is going into military, another so sad. But admiration for service to their country. Aj Jan 24 2016 4:39 pm Full of plot holes and sloppy writing, but worth the time for Park Seo Joon. Dong Jae's motive is not strong enough. Of course his father gonna take the blame as there's no solid evidence.. with a kid as witness? Well yes it's still the cops' fault too for fabricating evidence and didn't investigate thoroughly. But still.. he already knew it was his fault as well? I was falling asleep during the interrogation between Capt Choi & Jin Gyu scene. So drama-ish scene, doesnt suit for a movie. And the ending scene. Those cops were like swarming around Capt Choi and nobody not even one cop was there to check on Dong Jae.. and boom! The LOLiest moment. Cant believe this is a 2015 movie OTL. Overall it's just too disturbing.. because of its lack of logic sense. And i was holding myself to watch til the end for Park Seo Joon & Choi Daniel. firas Oct 17 2015 7:33 pm NANA , he got a call that he have to stay away from any problem , or it will effects his career !!! Nana Sep 15 2015 7:40 pm If you accidentally murder someone when you're drunk, it's a crime but we all have our days, especially when you're a cop and you know how to solve these things. Based from what i saw in that preview, it was obviously self defense, so really, what is the point of this senseless movie?